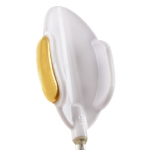 Thousands of women and men have transformed their pelvic floor muscles by using Kegel8 pelvic exercisers. 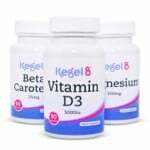 Whether you have an Ultra 20, V for Men or Mother Nurture, your Kegel8 will become your pelvic floor’s favourite friend! In all of the great feedback we’ve had from our customers over the years, there’s been one request we’ve taken note of. Some people found that keeping their precious Kegel8 unit, probes and wires in the cardboard box they came in just wasn’t doing it for them. So we came up with the perfect solution! This carry case has room for your pelvic floor toner unit along with probes, wires and other accessories. There is also a handy pocket that can be used to store instruction booklets, medical notes and more. The tough casing of this box will keep your Kegel8 unit safe from any bumps and help you keep the wires from getting tangled. It is nice and discreet – it looks just like your toiletry bag so you can keep it on display or take it travelling without anyone knowing what’s inside. These carrying cases now come as standard with any purchase of a new Kegel8 unit, but we wanted to give our loyal customers a chance to get one too! 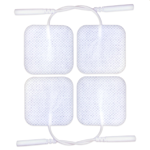 Treat yourself to one today to always have your Kegel8 right where you need it.